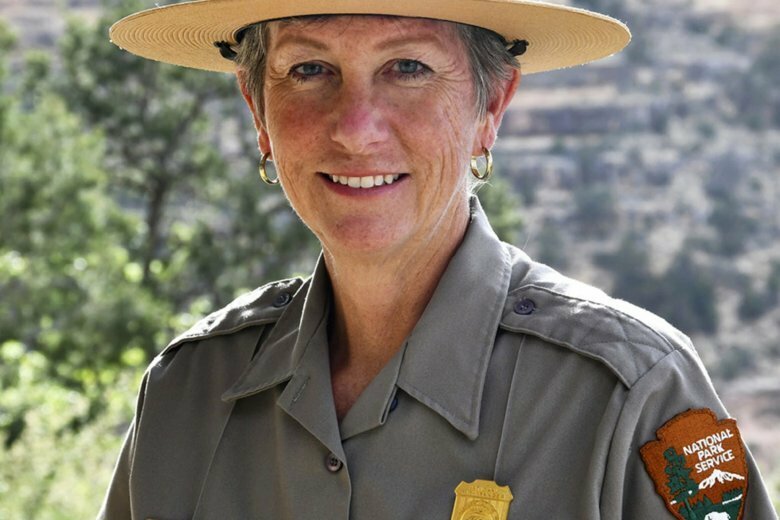 FLAGSTAFF, Ariz. (AP) — The first female superintendent of Grand Canyon National Park resigned Thursday, less than three years after she took the helm of one of the country’s most popular tourist destinations. Christine Lehnertz’s resignation comes months after she was reassigned amid a federal investigation that cleared her of allegations of creating a hostile work environment and wasting park resources. “My experiences have served to reinforce the core of my life’s values — compassion, fairness, honesty, civility and respect — and I will always stay involved in protecting our nation’s public lands and democratic principles,” she wrote. Lehnertz was the park’s first openly gay, female superintendent and the second consecutive Grand Canyon chief to leave under pressure. She started the job in August 2016, tasked with changing what federal investigators said was a pervasive culture of sexual harassment. She has said she was making strides to build a respectful and inclusive workplace by addressing the backlog of misconduct complaints and conducting healing circles. And she said she was proud of employees’ progress. She was reassigned within the National Park Service in late October while the inspector general of its parent agency, the Interior Department, looked into a subordinate’s complaints that Lehnertz wrongfully proposed a one-day suspension, that she bullied or retaliated against male leaders, and that she wasted $180,000 to renovate a park residence. Her Denver-based attorney, Kevin Evans, said Lehnertz also was ordered not to contact Grand Canyon’s staff. Investigators found Lehnertz did nothing wrong. She acknowledged that some employees found her personality harsh when she is stressed and that she asks detailed questions but said she had try to “check” herself, according to the investigative report. Lehnertz was set to return to the Grand Canyon ahead of the park’s centennial celebration in late February. But Evans advised her not to go back. Evans says he was negotiating with the park service on Lehnertz’s employment status, but the talks fell through. Her last day is March 31. The park service says it doesn’t generally comment on personnel issues. “We greatly appreciate the service Chris has provided the public and the National Park Service, and we wish her the very best in her future endeavors,” spokesman Michael Litterst said in an email. In a statement, Lehnertz said she would pursue what’s important to her when she leaves the Grand Canyon, including empowering women, promoting social justice and supporting families challenged by Alzheimer’s. Her mother had the disease, and Lehnertz learned of her death the day she was reassigned from the park. Lehnertz succeeded Dave Uberuaga, who was forced to retire in May 2016 after federal investigators accused him of failing to properly look into and report complaints that male workers were sexually harassing female colleagues. He wasn’t implicated in the allegations and kept his job during the investigation. Another superintendent at a popular park was forced out in an apparent “punitive action” following disagreements with the Trump administration over how many bison Yellowstone National Park could sustain. Dan Wenk initially planned to retire in March after being offered a transfer he didn’t want but was replaced last year.